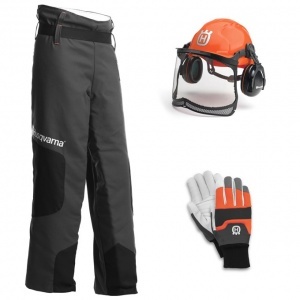 Enjoy safer & cleaner felling with this wedge. 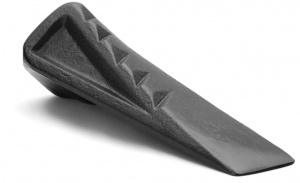 Made of high impact ABS plastic, this is a felling wedge available in a choice of three different sizes. It is designed to help the tree fall in the direction of the notch cut by lifting it in the required direction, also helping to stop the tree from leaning back on the saw while making a back cut. Designed to help you fell trees in the right direction, this felling wedge is 12 cm long and is composed of lightweight yet strong magnesium. 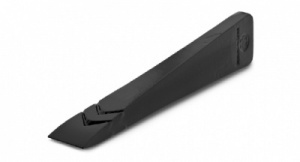 Designed to be used with either a sledge hammer or a sledge axe, this straight splitting wedge is 18 cm long and is made of steel, intended to make splitting logs more efficient. Designed to make splitting older, tougher wood easier, this wedge has a curved design to facilitate maximum splitting capacity. 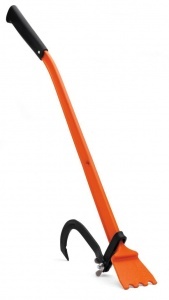 It is intended to be used with a sledge or sledge axe. 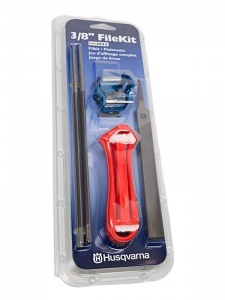 Giving you everything you need to file your chainsaw chains in a handy kit, this pack contains a file handle, combination file gauge, two round file and one flat file, at a great price.